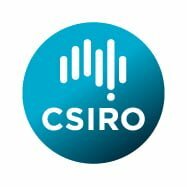 Applications are now open for the University of Adelaide-CSIRO Industry PhD (iPhD) program. This prestigious and innovative 4-year iPhD program includes a minimum six-month industry placement offering an enhanced opportunity for students to work in an industry-defined research area, with support and supervision through a partnership between the University of Adelaide, CSIRO, and an Industry Partner. In addition, you will have the opportunity, along with your supervisory team, to engage in training and professional development activities. By building your abilities, skills, understanding, and encouraging professional growth, the iPhD will prepare you to hit the ground running after completion. Increasing nitrogen use efficiency with micronutrient coatings for urea fertiliser. Project partners: University of Adelaide Faculty of Sciences, CSIRO Agriculture and Food, and Incitec Pivot Fertilisers. This 4 year PhD project will involve exploring mechanisms for modifying the reactions of N fertilisers in soil for enhanced N use efficiency. The student would be Waite based, with 60% in University office/labs and 40% in CSIRO office/ labs. There will also be international travel (Kansas State University). Identification, characterisation and exploitation of bioactive compounds from plant biomass. Project partners: University of Adelaide Faculty of Sciences, CSIRO Agriculture and Food, and Agilent Technologies Australia Pty Ltd. Gene discovery will be combined with biochemical characterisation of the corresponding metabolic pathways and bioanalysis of bioactives. This iPhD project is at the interface of fundamental and translational research and addresses important industry priorities. Applications will be accepted up to 30 April 2019 or until the positions are filled.